• Prepare rice according to package instructions to yield 3 cups cooked rice. • Heat sesame oil in a wok on medium heat. 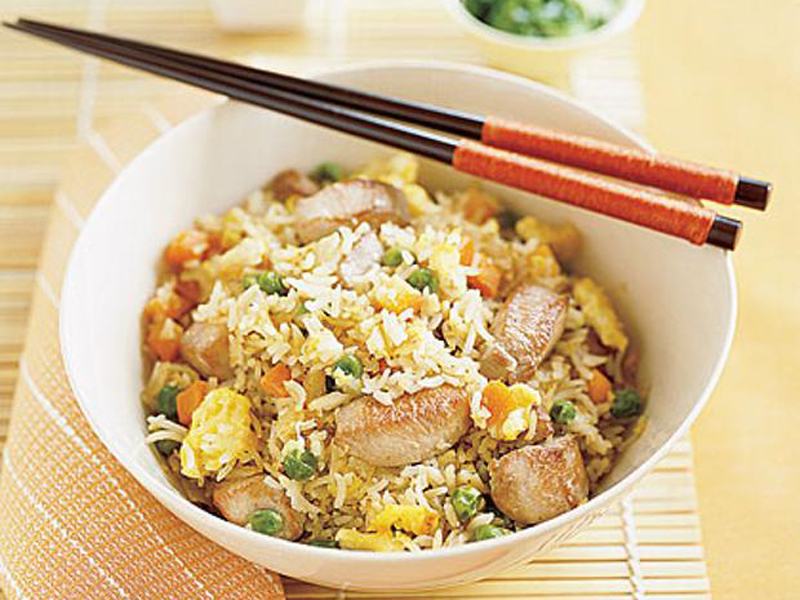 • Stir fry until tender, about 6 minutes. • Crack eggs into pan and scramble, mixing throughout vegetables. • Add rice, chicken, and soy sauce to pan.